TELL ME ABOUT SOMETHING YOU BELIEVE IN…. I believe in GOD’s unwavering love, GOD’s glorious blessings, GOD’S divine grace and GOD’s Oneness (we are all connected as One in everything). And for my dear friend Michelle Vielma, I believe in You – Yesterday, Today and Tomorrow….Francine. My dear friend Michelle Vielma recently introduced me to this extraordinary soulful and talented singer songwriter, JJ Grey & Mofro. His music I’d expect to have heard in the 70’s, but believe it or not, this song first debuted in 2008 on his album ‘Orange Blossoms’….and when asked what the song means, JJ Grey said, “Since believing in nothing is too vast, you really only have one other option – to believe that anything is possible.” And to accompany his quote here, my dear friend Michelle wrote a heartfelt message to share with each of you on what she believes in. It is my honor to post her alongside JJ Grey’s works. Please enjoy the rhythm of her words and the sounds of their meanings as she lets go and expresses deeply from within her heart. Play this amazing music video below, read her words as she is a Believer and share in the comments section below what you believe in….With much love and gratitude, Namaste Michelle and my friends, Francine. What do you believe in? Tell me something you believe in. I believe in everything – everything Good or everything Bad. I believe in things I can prove, so therefore I believe in the things I was not able to prove. I am a Believer. I believe life lessons learned from past pain, past regrets were and will be necessary. I believe in a higher power than myself – I believe in God. I believe in humanity and hope. I believe in self destruction and evil. I believe things happen for a reason. I believe I can not change my destined route laid out for me. I believe in fate. I believe in signs around me put there for me to choose to see or not. I believe people are put in your life purposely. I believe there is always a beginning. I believe there is always an ending so embrace the bliss as long as you can. I believe in hard times giving heartache. I believe in good times tugging at your heartstrings. I believe in cosmic beauty. I believe in mother nature destruction. I believe in moments of a lifetime. I believe to live in the moment. I believe in grippingly holding on. I believe in completely letting go. I believe in love. 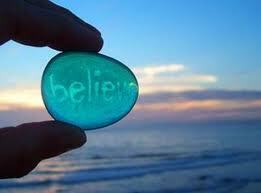 I also believe in you full heartedly! So why is it so hard to believe in myself? This entry was posted in ascension and tagged 2012, 5th dimension, ascension, beacon of light, being one with all, consciousness, God, i believe in everything, Jesus, jj grey & mofro, lightworker, love, michelle, new earth, oneness, spirituality by Francine. Bookmark the permalink. I Believe in Grace and Blessings of our Creator. I Believe in Friendship. I Believe in Synchronicity of Universal Law. I Believe in Love! I Believe in Myself! I Believe in You! I Believe in Vastness of Ever Changing Cosmic Beauty. I Believe in Kindness, Peace, and Hope. I Believe in Joy and Happiness in This World! I Believe in Laughter! I Believe in Creation of All It Is and Connection to ONENESS. I Believe the Miracle Is Possible if You Believe in It! With so much gratitude to my dear friend, Francine, and Michelle for sharing this song and post! Let Love & Light to become One with in you, Zhanna.